What’s New with Ride Snowboards in 2019? Shorter, quicker and gnarlier. That’s where Ride Snowboards is headed in 2019. Building off the success of the uber-popular Warpig, Ride is bringing the wider-waist, shorter-length design of that board to two new models for the 2019 season. Shorter length boards with fatter widths have become in vogue the last couple years, as the design has a long effective edge that allows for riders to downshift in size and ride a board that’s more nimble and maneuverable, while allowing for deep carves and a playful float in powder. One of the reasons people love the Warpig so much is for its ability to dart around the mountain with speed and aggression. That feeling is endowed in the two new-for-2019 boards in Rides’ lineup as well, the Twinpig and the MTNpig. Don’t fret park rats; the Ride Twinpig is here to take that same Warpig ability to the park with some freestyle flair. Short, wide and nimble, there is no doubt that the Twinpig will be a favorite of freestyle riders seeking something uber-fun to play on. With a camber profile in the meat of the board and rocker in the tips and tails, you get easy-riding ability that comes with powerful ollies upon takeoff from jumps. The soft flex of the Twinpig is highly conducive to big-time butters and grabs. Grab yours before you hit the park next time and you’ll never have a better time on a board. On the other end of the spectrum we have the Ride MTNPig, a hard-charging all-mountain slayer. Able to dominate places of the mountain that other boards of its size can’t even touch, the MTNPig is the big-mountain board you’ve been waiting for. The MTNPig has a tapered directional shape with a hybrid camber profile and a linear quadratic sidecut; this all adds up to equal a board that can lay deep carves and hold steady in thick ice and crud. It’s also a joy to ride in the deep stuff, as the rocker in the head gives some serious float. The MTNpig is a serious shredder, and shoulder only be ridden by advanced riders looking to aggressively ride all-mountain terrain. Why mess with perfection? That’s why the ever-popular Ride Warpig is back unchanged from last season. The Warpig is a total shredder that is lithe, agile and an absolute joy to ride. With a shorter length and wider waist, the Warpig offers lightning-quick maneuverability that is a blast anywhere from the groomers to the trees. If you haven’t had the opportunity to ride a Warpig, consider this the year to join the party. Other boards that are returning for 2019 are the freestyle-focused Helix and Burnout, along with the playful all-mountain Wildlife snowboard. The Agenda, Ride’s intermediate board for progressing riders, is also back for another year. All in all, Ride’s lineup in stacked with unique, quality boards that can absolutely shred. Whether you ride park, powder, the trees, groomers or all of the above, Ride has got a board for you this season. For the full selection of Ride 2019 snowboards, click here. 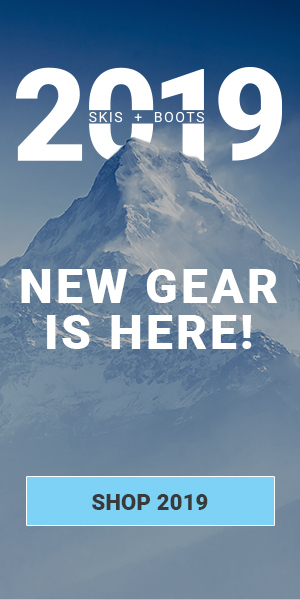 Browse our entire selection of 2019 snowboards here.